Prangcharoen received his D.M.A. from the University of Missouri-Kansas City, where his primary teacher was Chen Yi. In addition to working as a freelance composer, he is currently teaching at the Community Music and Dance Academy of the Conservatory of Music, University of Missouri in Kansas City. 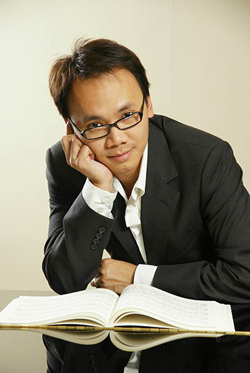 He is the founder of the Thailand International Composition Festival, now entering its 10th year. His works are published exclusively by Theodore Presser Company.